Some of the best ceramicists in the country come to the Utah Arts Festival. 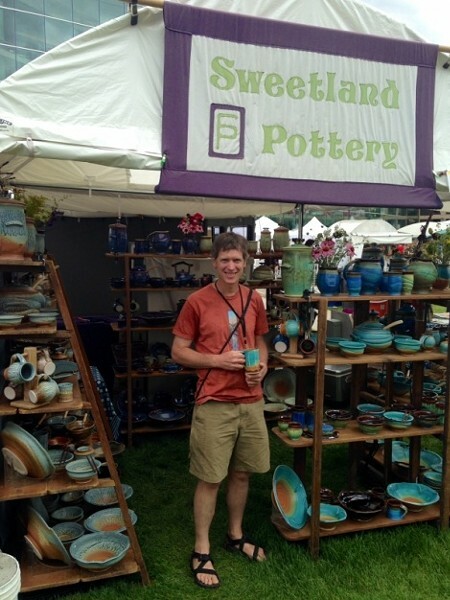 The pottery of ceramicist Paul Steege, from Nevada City, Calif. (booth 92), is some of the very best at the festival. Connoisseurs of fine pottery will recognize his mastery and creative brilliance. Although his color scheme is broad and the patterns have a wide range of variety, still there is cohesiveness in the finery of his work, from the lotus blossom plates to the pin wheel bowls, the ash and Shino glazes or the astonishing turquoise blues caused by copper firing. “What I love about ceramics is the process, and then you let go of the control," Steege said. "You have some control but you don’t know what’s going on in there. You let nature’s process take over."